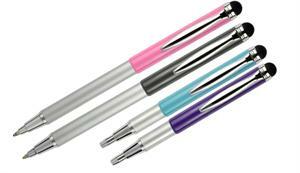 Stylus on one end and pen on the other, extends to full length when writing and easily retracts to shorter length. 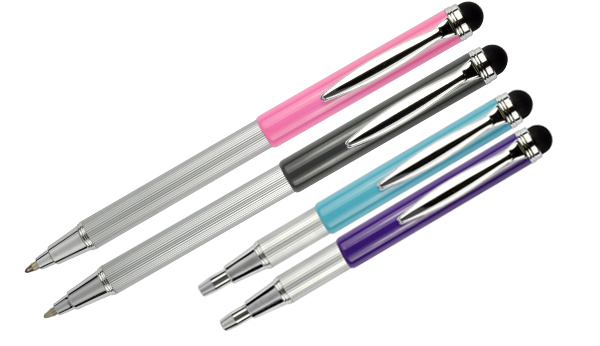 * 10 mm ball point with ultra smooth ink proformance. * Available in Slate Grey, Midnight Blue, Ocean Blue, Pretty in Pink and Sour Grapes. * $5.14 each * Buy 6 or more $4.11 each.